Aesthetic dentistry is what helps you have a beautiful smile. 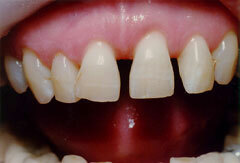 You may have teeth that are stained and discolored, chipped or broken. Or, there may be gaps in-between your teeth. Any of these situations can cause you to not look and feel your best. Dr. Gary Grablin has been practicing aesthetic and cosmetic dentistry for more than forty years. Because he takes advantage of microscopic dentistry, his work will be meticulously accurate. Since many individuals have chemical sensitivities, Dr. Grablin uses the Clifford Reactivity Test to better understand if you might be sensitive to any of the materials he will use before beginning treatment. 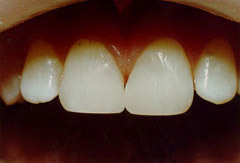 With Modern Computer Imaging Technology, we can show you what your before and after smile can look like. Most smiles can be altered, electronically, within five to ten minutes. Please call for a consultation. Dr. Grablin can help you with any of the following aesthetic dentistry situations. He will thoroughly assess your needs and then recommend the treatment that best fits with your preferences and budget. Chipped or broken teeth can be repaired through laboratory fabricated porcelain veneers that are bonded to the surface of your teeth. 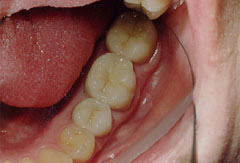 Tooth-colored crowns and dental fillings will look natural when you smile or laugh. 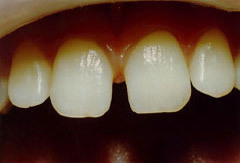 Gaps in-between teeth can be closed with aesthetic resins. One or more missing teeth can be addressed with bridgework, implant-supported crowns, removable partial dentures, implant-supported partial dentures or implant-supported dentures. At first spending a large sum of money on myself panicked me. But actually doing so, I found my self-esteem was lifted to a new sense of worthiness. I love and appreciate the unique depth of assessment, planning & careful execution of my treatment plan as only a fellow medical professional can. Your personal 1:1 attention has been healing to my whole being. You have given me so much more than world-class dental skill and artistry. I know you will be richly blessed, not by my words, but by your own special thought, skill & action coming through your heart, soul & hands. Thus it is, I say your work is indeed close to God’s heart. In profound gratitude & simple thanks. 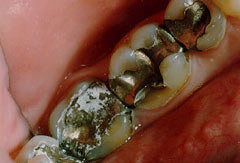 Dr. Grablin considers all amalgam fillings as temporary only. 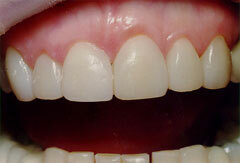 Direct Adhesion Dentistry: Closing Gaps and Spaces. Lab-Fabricated Adhesion Dentistry: Porcelain Veneers for Correction of Spaces, Shades, & Tooth Contour. If you are interested in aesthetic or cosmetic dentistry, Gary A. Grablin DDS, looks forward to helping you. Please call: (415) 454-3222 to set up an appointment.